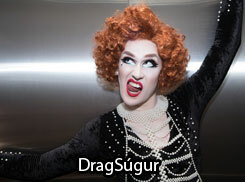 Pictures from Drag Competition 2014 in Harpa. 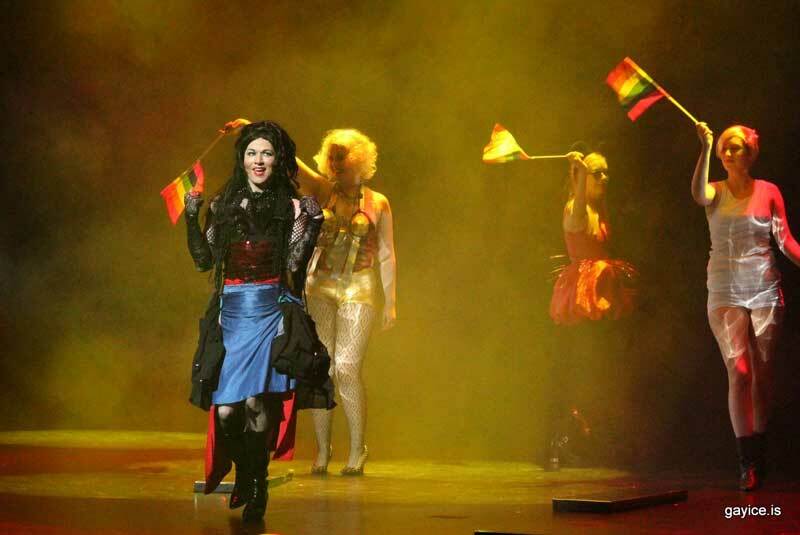 The Icelandic Drag Competition celebrated its eighteenth anniversary this year crowning Drag-Queen and Drag-King of Iceland. Winners this year where Drag Queen Gloria Hole and Drag King Russel Brund (Pictures by Pall Gudjonsson). BEARS ON ICE Top Off Party at Club Kiki. Visit BEARS ON ICE website for more information about the event. BEARS ON ICE Saturday Party with DJ Dramatik, DJ John Eltong, DJ Colin Gaff and the Dream Bears performing. Visit BEARS ON ICE website for more information about the event. BEARS ON ICE Golden Circle Tour. Bears and friends visit to Thingvellir, Geysir Geothermal wonderland and the Golden Waterfall. Visit BEARS ON ICE website for more information about the event. BEARS ON ICE pictures from day 3 and 4. Babalu barbecue Saturday night, Sunday Farewell Brunch at Jomfruin and Sunday steak. Visit BEARS ON ICE website for more information about the event. BEARS ON ICE 2013 Opening Party, September 5th at Iðusalir. Bears and friends meet up to collect their BEARS ON ICE wristbands, t-shirt and mingle for the first night of the event. Visit BEARS ON ICE website for more information about the event. Pictures from Reykjavik Gay Pride Outdoor Concert, August 10th, 2013. Over 90.000 people came to enjoy colorful parade and the outdoor concert in downtown Reykjavik. Gayice.is pictures by Pall Gudjonsson. Pictures from Reykjavik Gay Pride Parade, August 10th, 2013. Over 90.000 people came to enjoy colorful parade in downtown Reykjavik and show support to Icelandic LGBT people and around the world. Gayice.is pictures by Pall Gudjonsson. Pictures from the annual Drag King & Queen competition that took place in Harpa, August 7th, 2013. 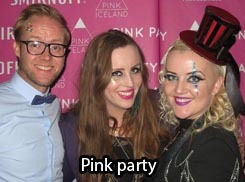 The Foxy Ladies won the title as Iceland´s Drag Queens 2013 but the butchy singing charmeur Brjánn Hróðmarsson took the trophy in the drag king division. BEARS ON ICE 2012 | DAY 1 | WELCOME PARTY at the Queer Center (Samtökin '78) and after party at Kjallarinn. 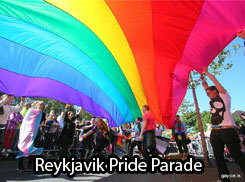 Bears and friends took over Reykjavik gay scene September 6-9, 2012. Visit BEARS ON ICE website for more information about the event. © Gayice.is - Become a fan on FACEBOOK or follow us on Twitter see what we´re up to! Copyright © gayice.is. All Rights Reserved.